Fun fact: The very first notable skincare routine I ever had that didn't involve washing my face with a bar of body soap (somewhere circa 2009) was all thanks to Kiehl's. I had read about the brand in a magazine and devoted one of my first paychecks to the purchase of a jar of Ultra Facial Cream ($16) and Ultra Facial Cleanser ($20). I credit both products with launching my obsession with skincare. Since then, I've tried many different Kiehl's products, all with varying levels of success. 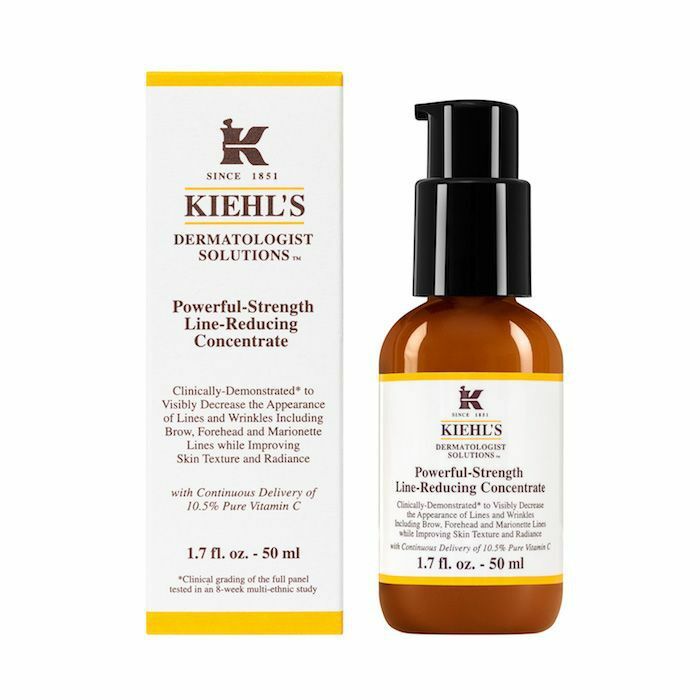 One of those products is the Powerful-Strength Line-Reducing Concentrate ($62). 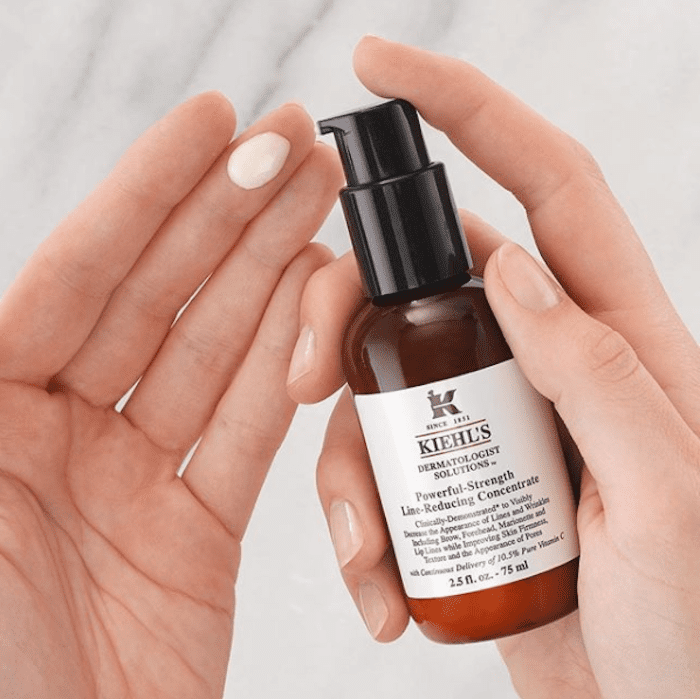 It's a brand bestseller, and according to Hello Giggles, it's just been revamped to include even more anti-ageing and skin-brightening vitamin C. It might just be a new winter hero product. The previous formula contained 10.5% vitamin C, but the revamped formula contains 12.5% stabilized vitamin C. This main ingredient is included to reduce the appearance of lines and wrinkles, though it also has other anti-ageing effects, along with brightening uneven skin tone and even defending against free radicals and oxidative stress. In other words, it treats the skin while also defending against future signs of ageing. This serum can be applied after cleansing and before moisturizer both morning and night. The brand promises that with continued use it will improve texture, reduce the appearance of pores, and even improve firmness. It even has hyaluronic acid, which is a molecule that holds up to 1000 times its weight in water, to deeply hydrate. Overall, it sounds kind of miraculous, right? I have yet to try this newest formulation, though the New Year will be the perfect time to do so when the winter cold makes my complexion dull and dry. Until then, I'll be sticking to my old favourites: the cult-loved face cream and cleanser. Head over to Hello Giggles to read the full story, then see seven easy New Year's Eve makeup looks.